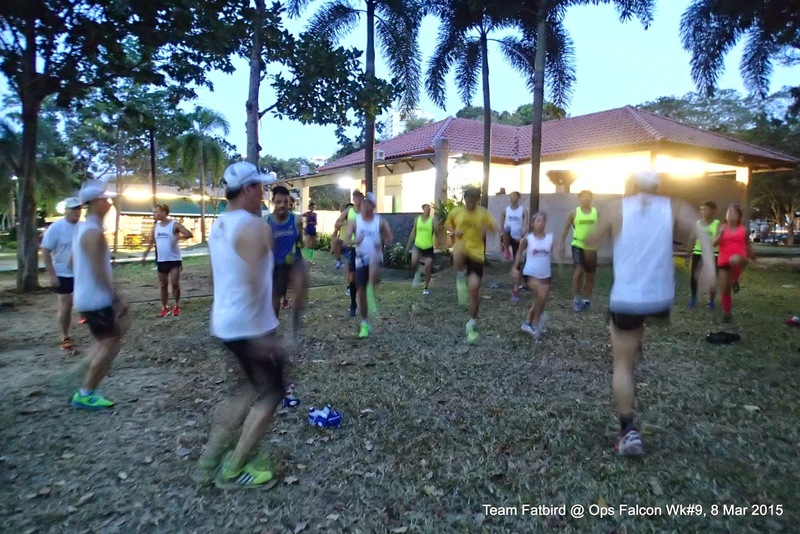 With less than a month to race day, The Falcons came into Week #9 to test out their race readiness after the past 8 weeks of base building and strengthening. 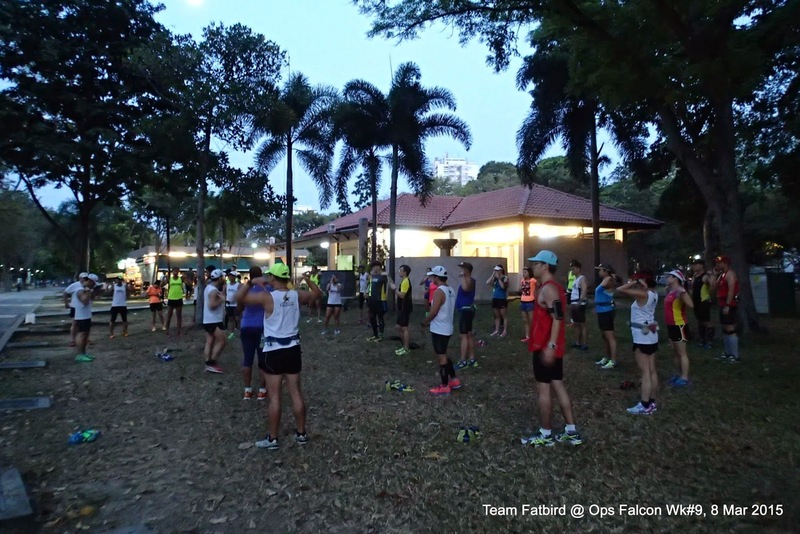 The Half Marathoners were taken through a pre-race warm up routine while the Full Marathoners went straight into their 29-35km long run at optimal pace (a couple of seconds/km faster than marathon race pace). 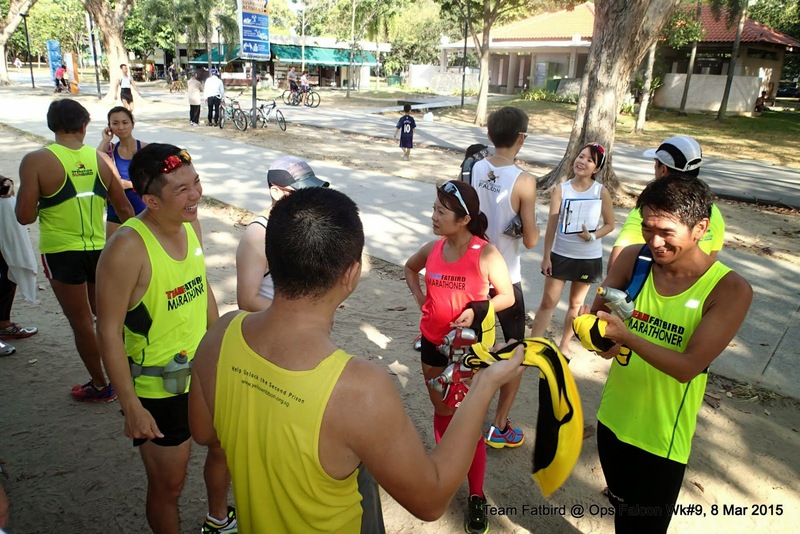 The Half Marathoners were flagged off together after their warm up to ready them for the trial. 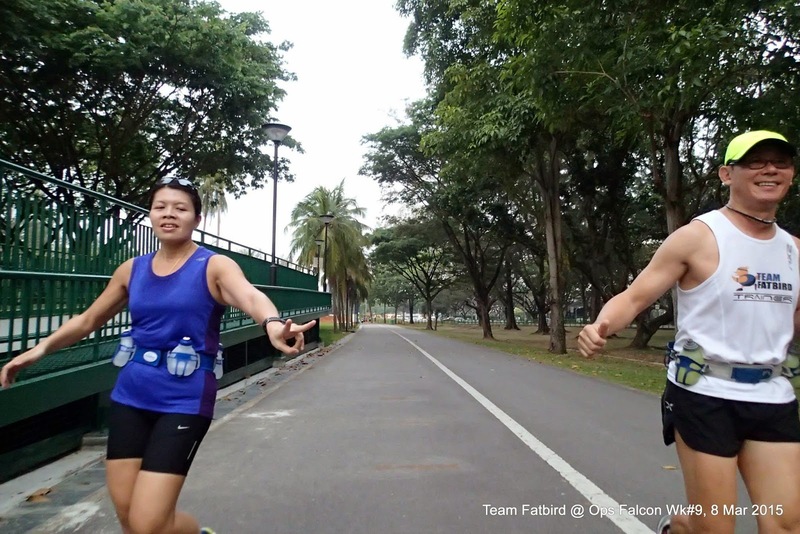 They immediately settled into optimal pace which was made more achievable after a good warm-up. 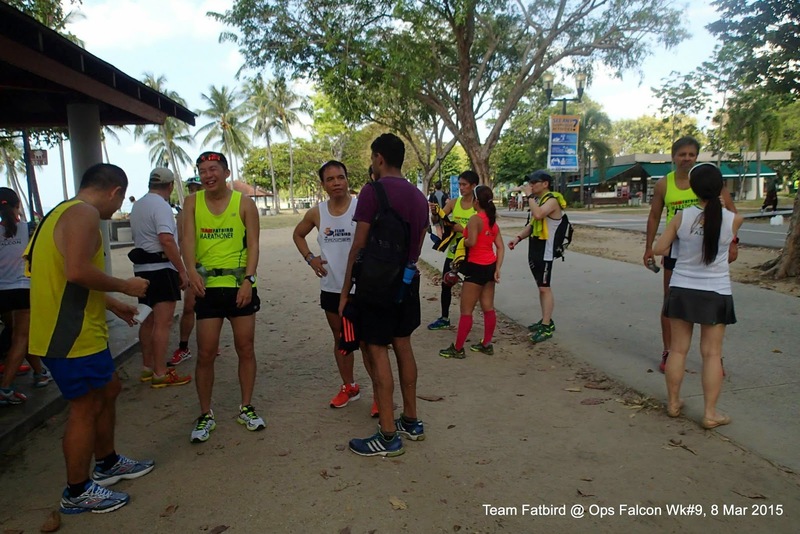 The first half of the run was well managed with most of the Falcons keeping to Optimal Pace under the skillful guidance of their trainers and pacers. 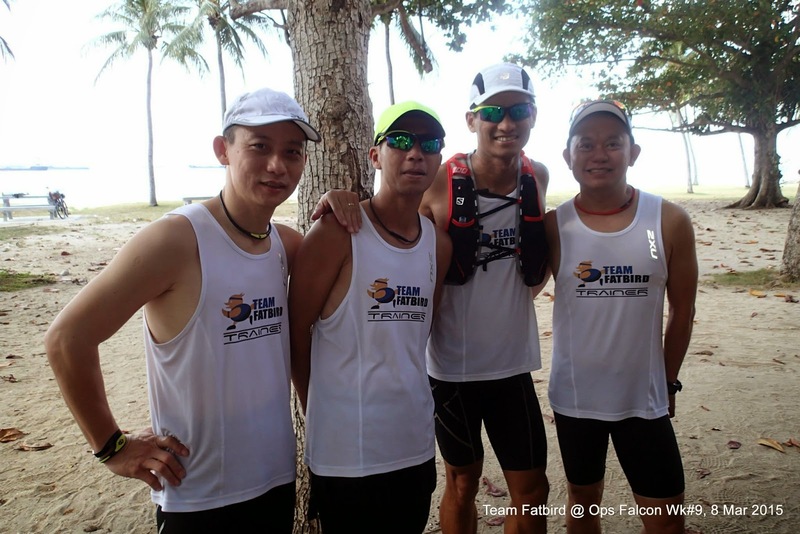 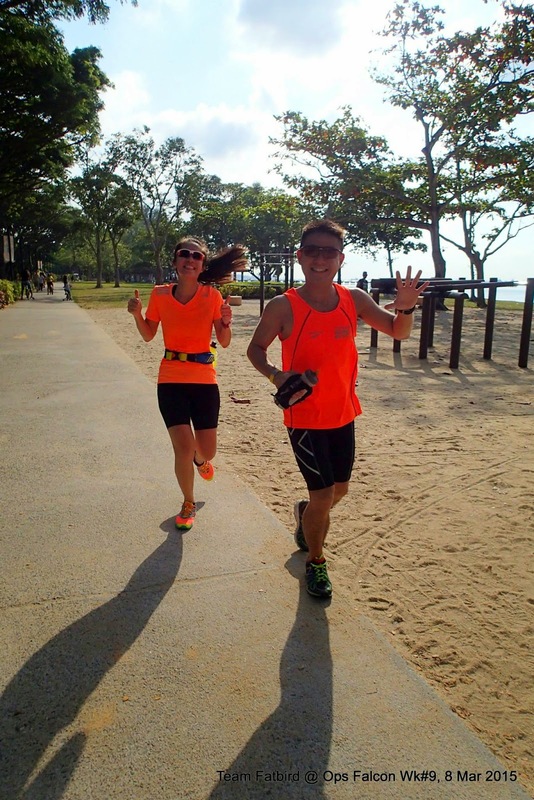 The second half of the run was more challenging with the faster optimal pace as well as the sun’s heat beating down on the trainees. 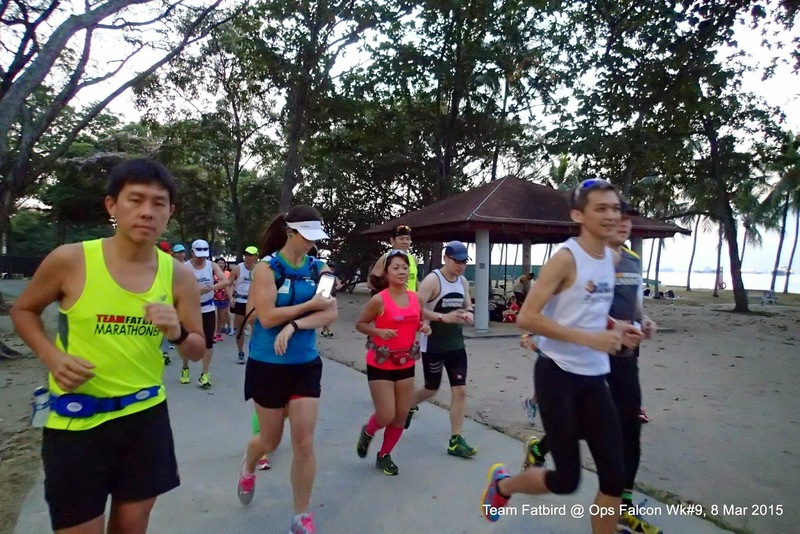 A few had the opportunity to test out their refuel systems through energy gels and gummies which provided the energy required to sustain their PB pace through to the finish of the 21km distance. 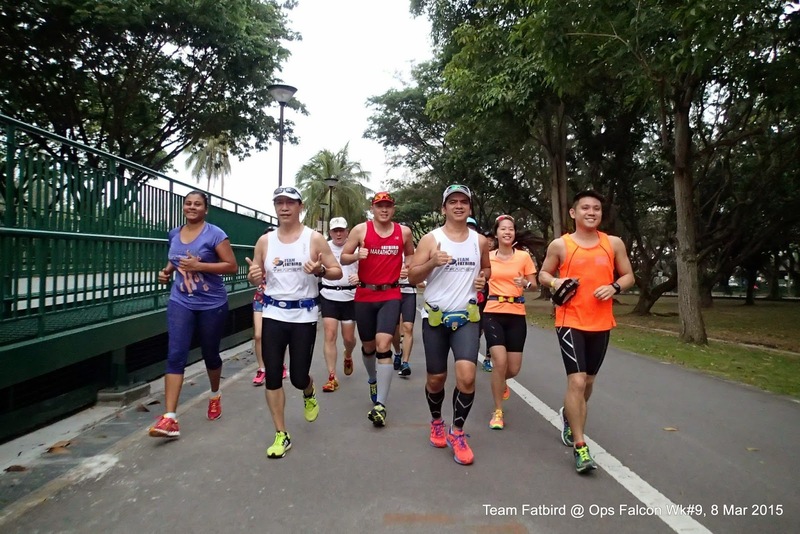 Those who did not have sufficient fuel stores (either due to not having a sufficient breakfast meal or not replenishing with energy gels mid-run) slowed down after 13km as more effort was required to sustain optimal pace. 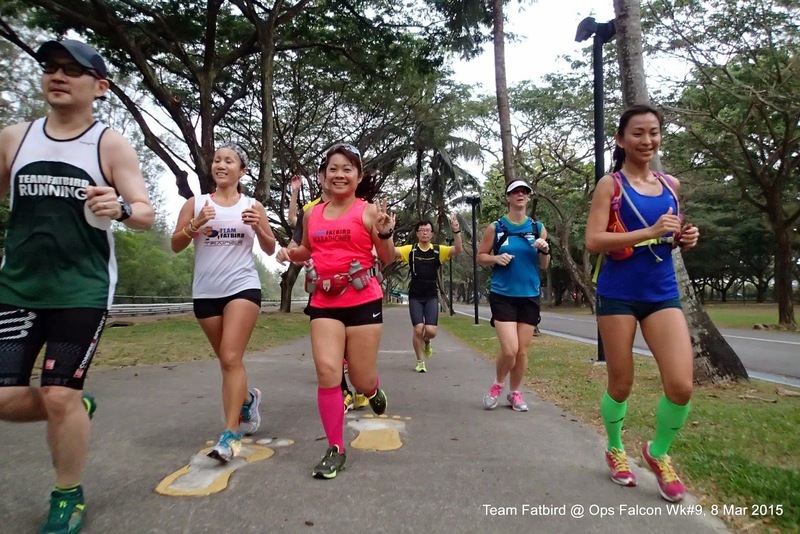 In spite of the challenges posed, quite a number of Falcons scored their Personal Bests for Half Marathon during this trial session, with one trainee beating her own PB by a massive 5min. 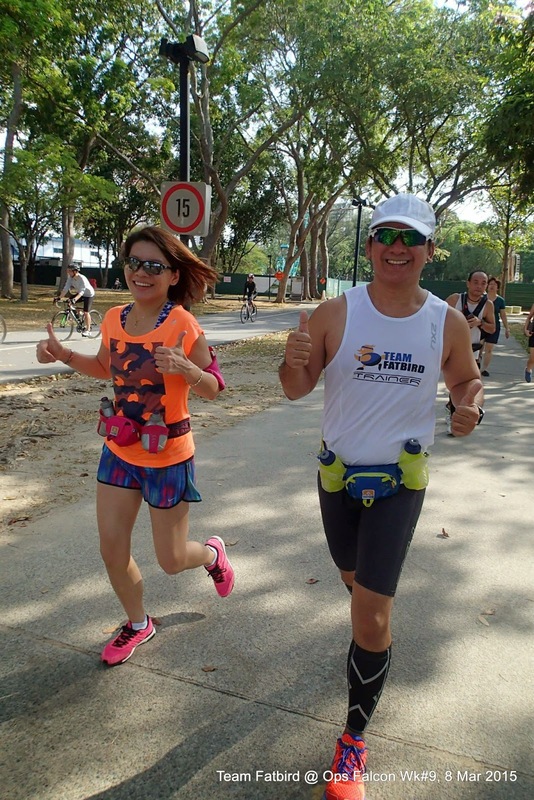 The Full Marathoners were very consistent with their pacing and were able to maintain pace for up to 29km, with about half of the trainees wanting to go up to 32km-35km. 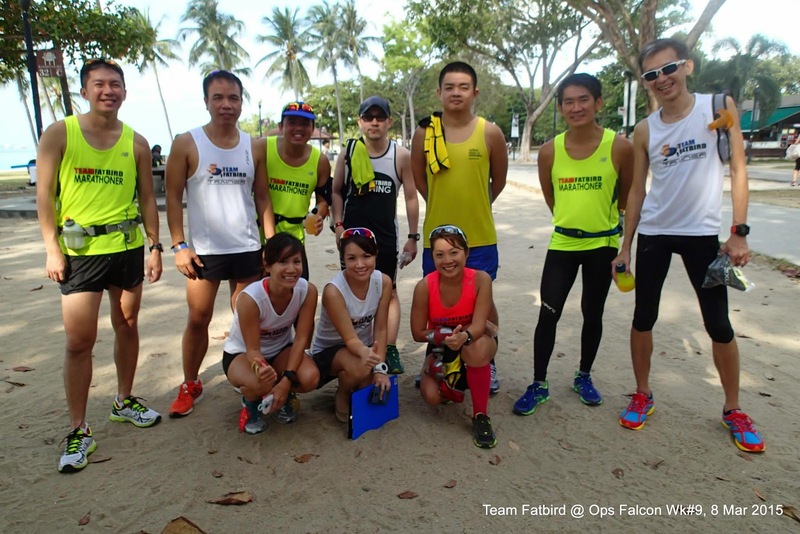 The trainers were game enough to run along with the determined trainees, allowing them to complete the objectives they set out to meet. 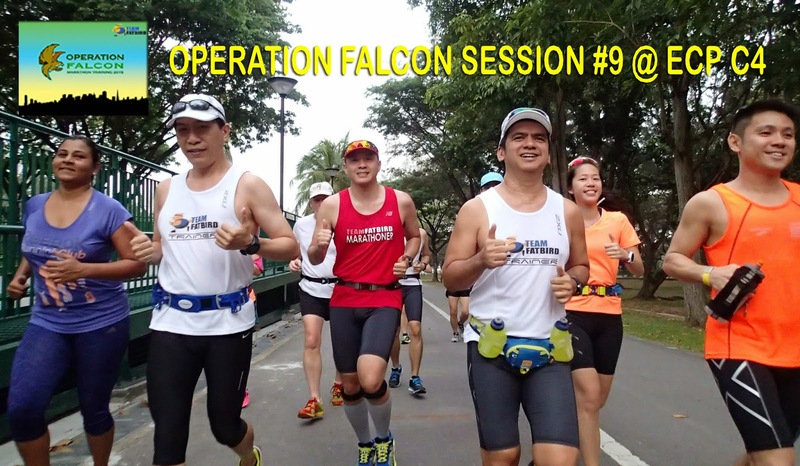 80% of the Falcons completed the trials and training by 10am, mostly with good timings to show – this will provide them with the confidence for a good race on March 29. 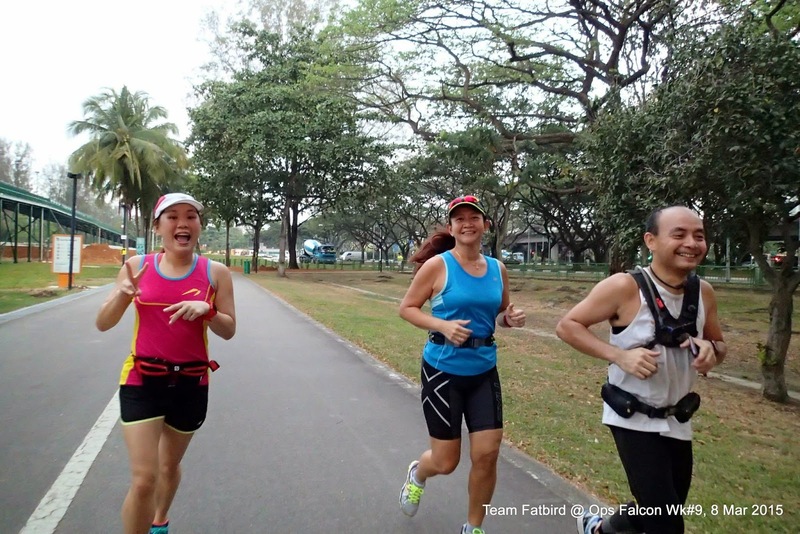 With 2 more weeks of training left, there is still time and scope to tidy up loose strings and make adjustments for a better race effort and performance. 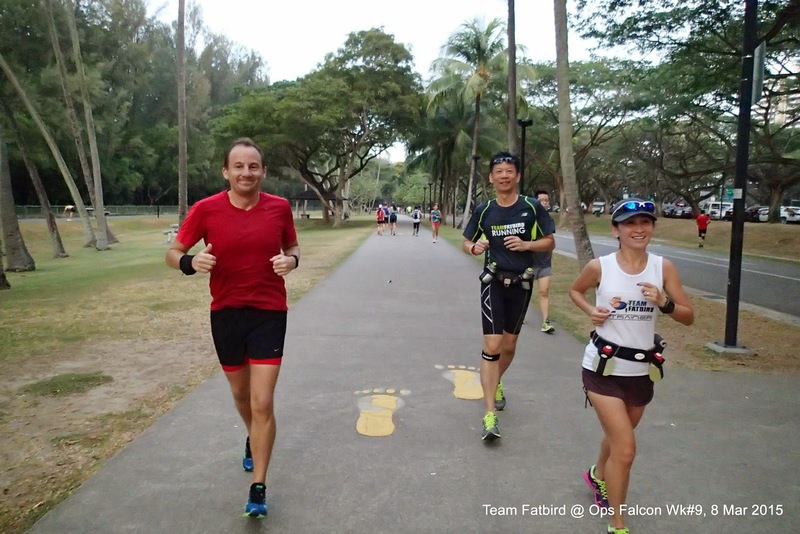 The Falcons flew with confidence this morning and are looking forward to their tapering from next week. 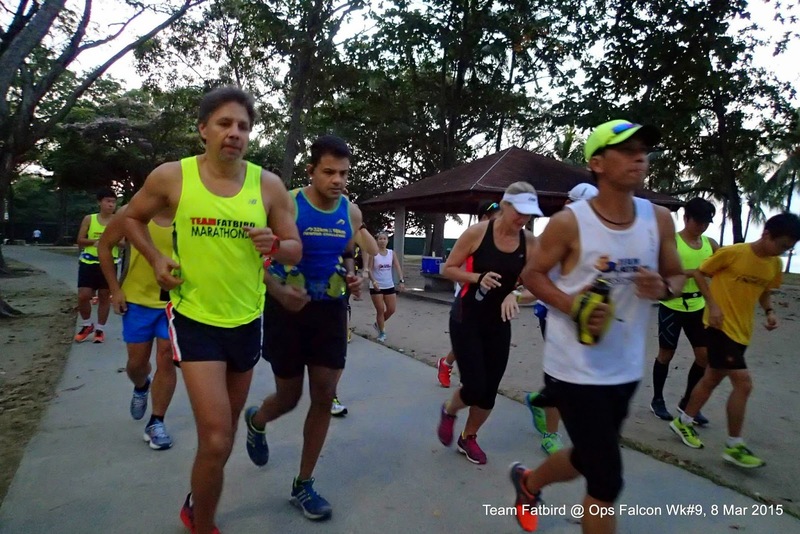 Although the distance will be lowered progressively for better recovery and race readiness, the training and runs will be done at optimal pace intensity through to race day to ensure sustainable speed and muscle readiness for that PB effort.